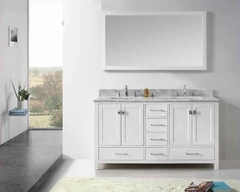 Glamorous contemporary design is achieved in the Simpson Collection with eye-catching detail. Elaborate wood overlay takes center stage on the headboard and case pieces of this modern collection. Framing the creamy white upholstered headboard, the oval and diamond pattern also serves to highlight the reversible wood and mirror accents on the top drawer of each case piece. 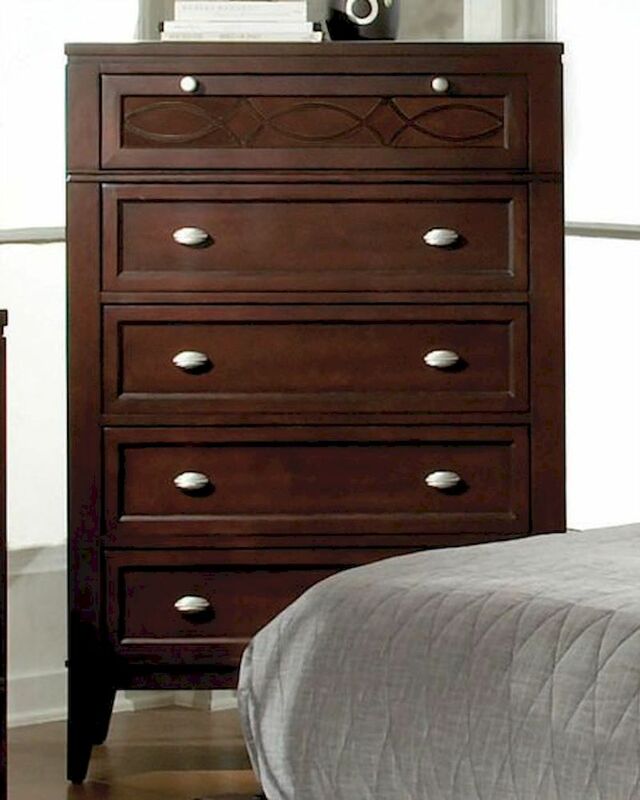 Accented with nickel hardware and a brown cherry finish, the collection is the perfect choice for your glamorous bedroom.